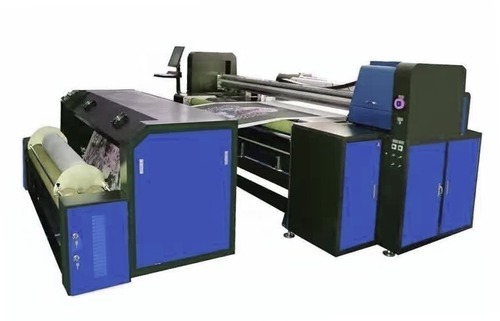 Digital Printing Machine for print on embroidery fabrics, Jacquard fabrics, Raschel fabrics, Knitted fabrics, designer fabrics etc. We are engaged in importing, exporting and service providing a commendable range of quality approved Textile Machinery. We are engaged in importing, exporting and service providing a commendable range of quality approved Textile Machinery. Offered products are highly recognized by our clients for their longer functional life, low maintenance cost and precise functionality with user-friendly controls.